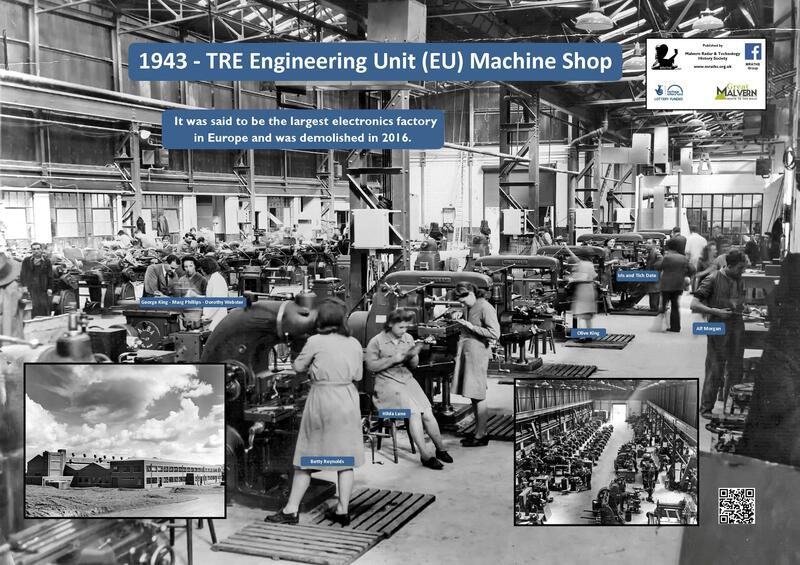 The Telecommunications Research Establishment (TRE) Engineering Unit (EU) provided a vital in-house manufacturing capability for the creation of radar prototypes and the high priority manufacture of new systems in advance of production in Industry. 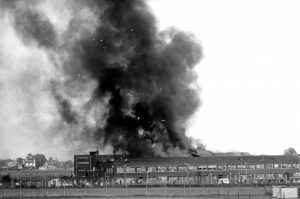 Work was often required as part of crash programmes of the utmost operational urgency. EU employed many highly skilled tradesmen and women. The financial approval for EU was given in the autumn of 1942 and the site was selected in October. 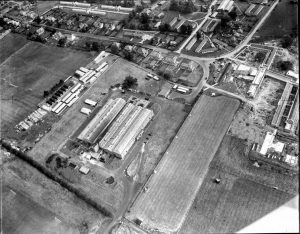 By May 1943 over a million bricks were laid and 72,000 square feet of engineering accommodation became available. The budget for the workshop machinery was £100,000. “U” building, as it became known, provided the engineering facilities over time for TRE and its successors. It was nearly lost in September 1969 when it caught fire. 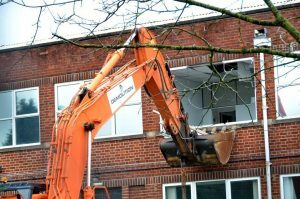 It was taken over by Dytecna Ltd in the Malvern Hills Science Park and is finally being in the process of being demolished in the spring of 2016.